Homemade biscuits and gravy is a family favorite, but how to make biscuits and gravy right can be tricky. 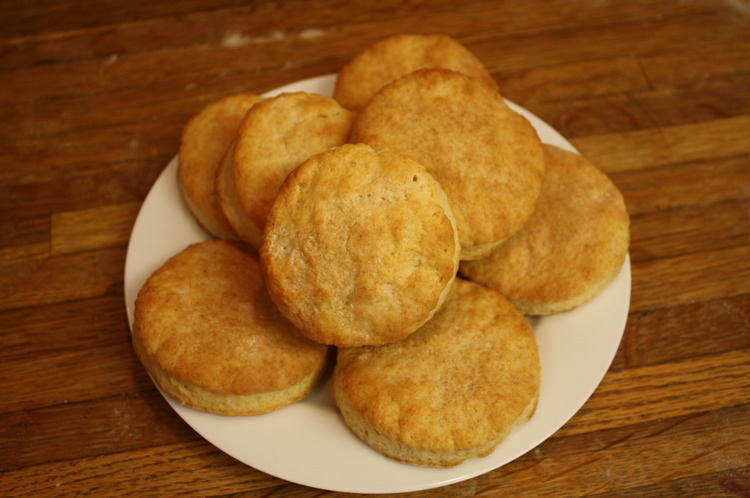 Try our easy homemade biscuit recipe for homemade biscuits and gravy! Also, try our homemade sausage gravy from scratch recipe. Preheat oven to 450F. 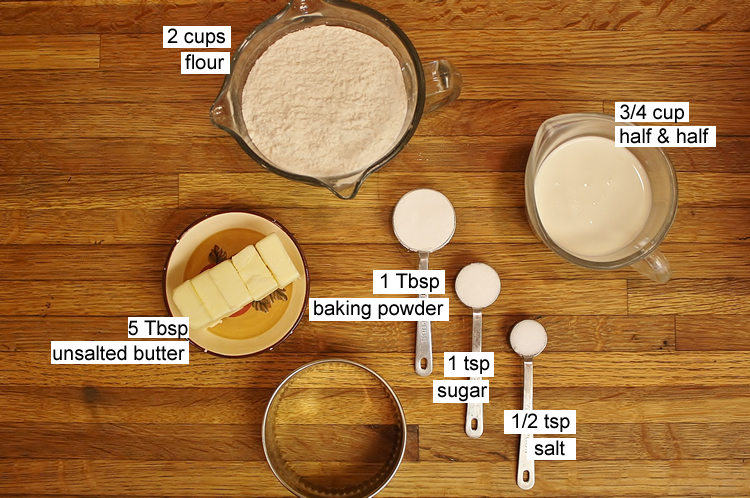 In a large bowl, mix flour, baking powder, sugar, and salt. Cut butter into small pieces and add to bowl. Squeeze/press ingredients by hand until the mixture resemble coarse crumbs. Add in half-and-half and stir until the mixture forms a mass. Gather into a ball and transfer to a lightly floured surface. 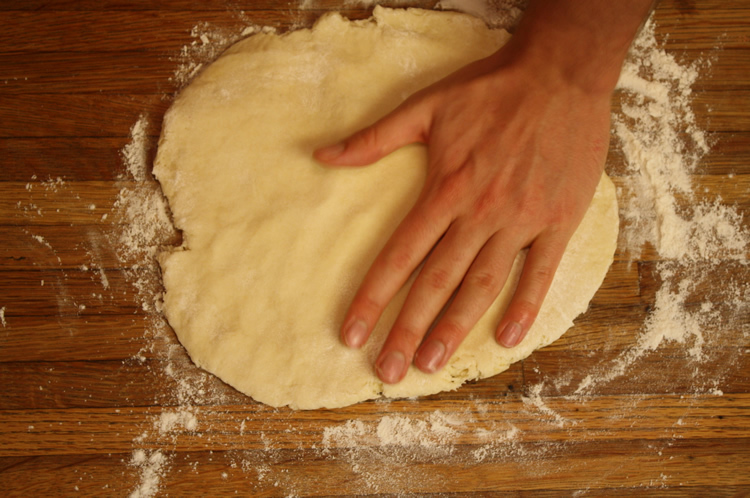 Knead dough and press into 3/4-inch thickness. 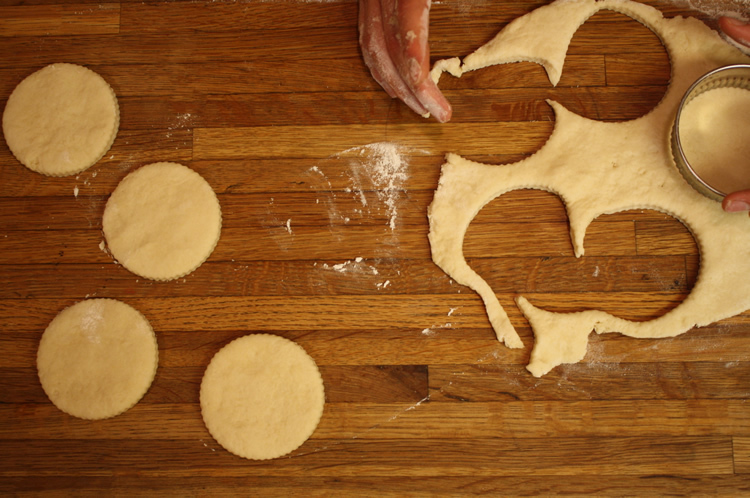 Use a cookie cutter to slice into circles. Continue to knead and press dough until all is used. Arrange biscuits at least 1 inch apart on a baking sheet. Bake for about 14 minutes, until fluffy and golden. Remove from oven and let cool. Make sausage gravy here.